Community Spotlight: Crystal Taggart pens new book Build My App! Dramatically simplify life for frontend developers. The platform should eliminate the need to write any server-side code. Support HTML5 and native mobile applications running on performance and bandwidth-constrained phones and tablets. Provide a comprehensive palette of backend services and a unified REST API to power sophisticated, data-driven applications at scale. Provide world-class security that large enterprises could adopt. Provide open source flexibility. 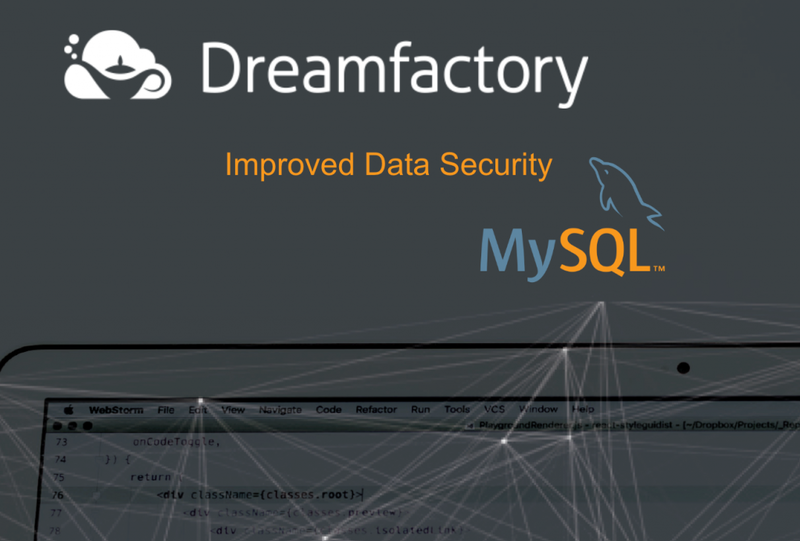 A developer or sys admin should be able to install the DreamFactory software package in the cloud or on premise. And every time you add a new service, the corresponding REST API for that service is automatically created and documented. For example, say you connect to a MongoDB database with DreamFactory. 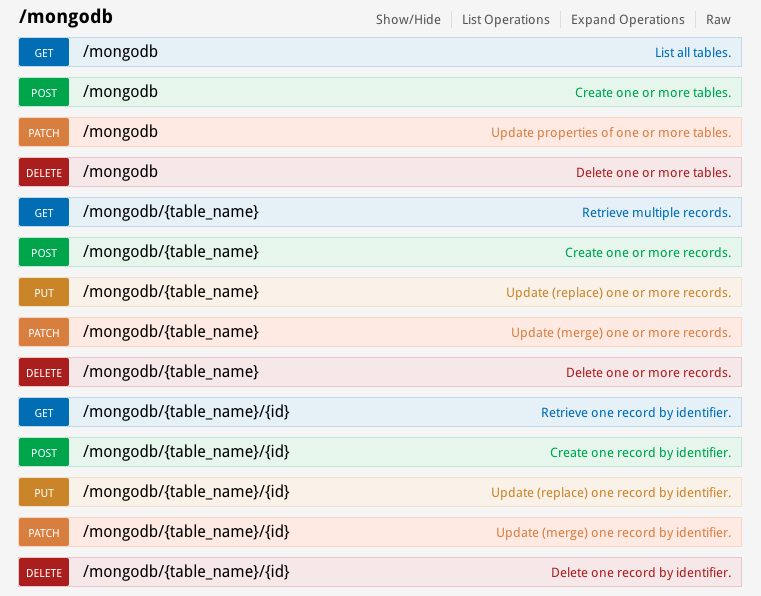 The new API ‘/mongo’ is automatically created and documented. 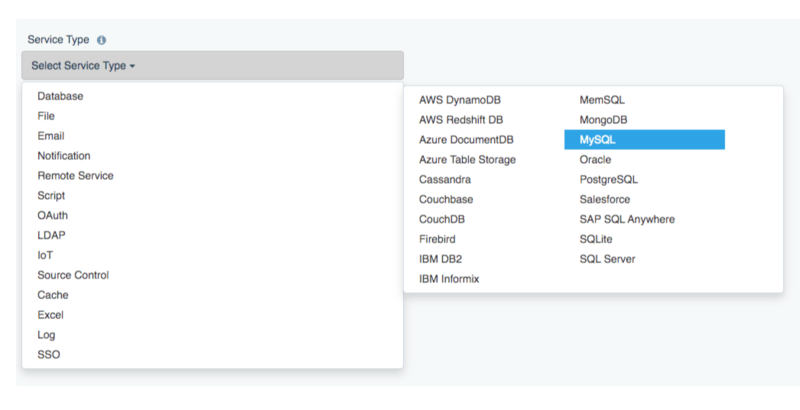 Presto, now you have a REST API to access your remote MongoDB database from the client! Before you start building anything, spend 5 minutes browsing the API. The API is documented with an awesome tool called Swagger. 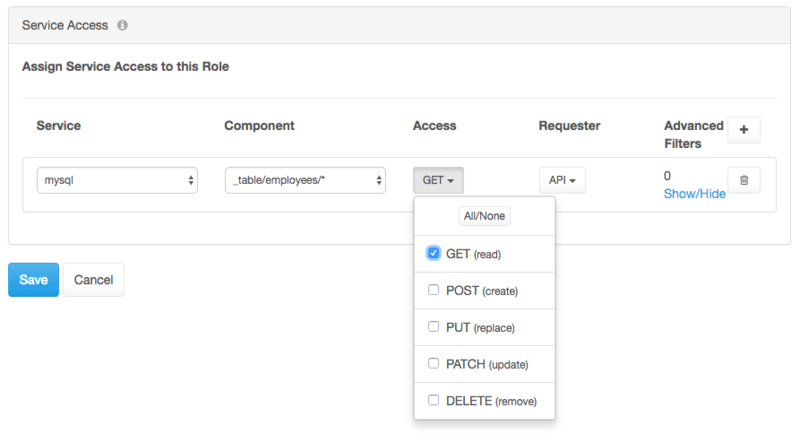 Swagger lets you try out live API calls right in your browser. It’s interactive, so you can quickly learn the capabilities of the API without writing a line of application code. Try it out! 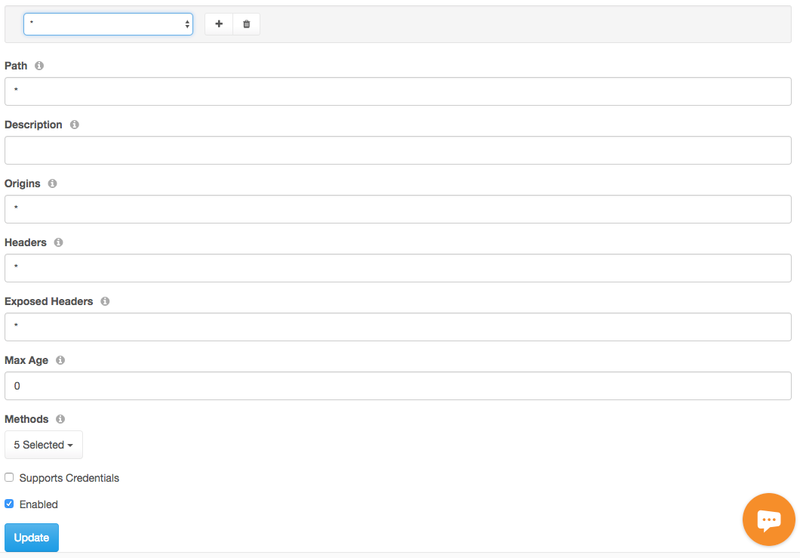 You can browse the API in two places: on our website and in the API Documentation tab of the admin console. 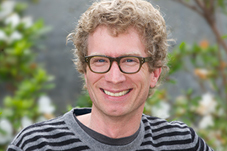 Also check out Jason’s recent blog post on getting started with the DreamFactory API. Have fun with the API and let us know what you think! 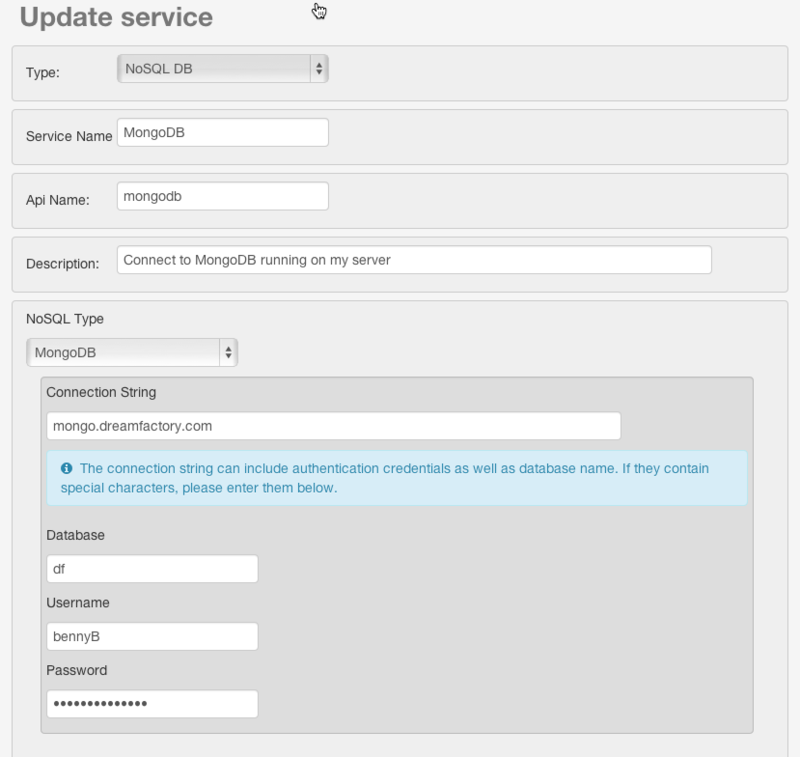 I am using MongoDB as our example service but all supported NoSQL types behave similarly, with some exceptions. Also, I am using JSON format everywhere here, but XML is also supported. In the cURL request, not all headers are included in request, i.e. authentication, app name, etc. You can use the Swagger UI to perform many of these same calls much easier. See my notes in the earlier blog about how the HTTP verbs function. As you see from the list above, all table administration operations utilize the root of the service for the URL. All tables are identified by a ‘name’ field in the operations. All posted or returned data is transmitted as a single object representing a table containing a ‘name’ field at a minimum, or an array of table objects returned as a ‘table’ field value, except where noted. Retrieving Tables Every DSP service, when queried at its root with no extra parameters, returns an array of ‘resources’ available by that service. 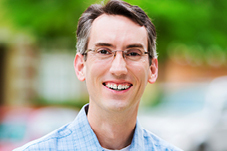 In the SQL and NoSQL case, these resources are table names. To get a list of currently available tables, just send a GET request to the service’s root, which, if you are using one of our hosted DSPs, looks like this. To add vendor-specific details to the output, just add the query parameter ‘include_properties’ set to true. 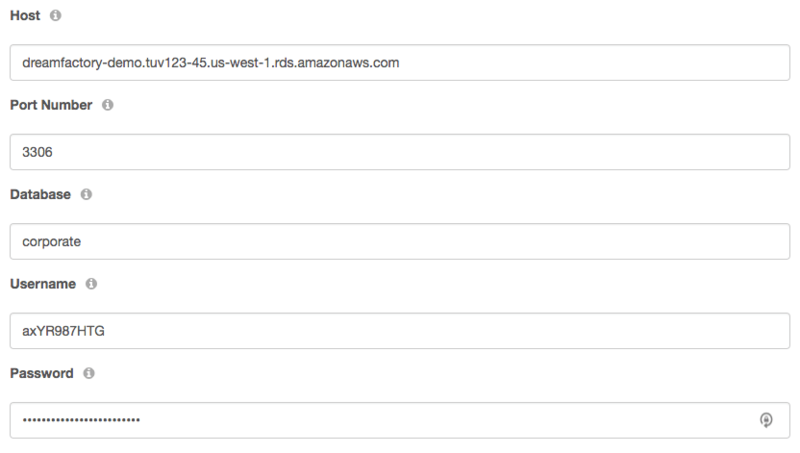 In this case, we get MongoDB-specific details about each collection. Deleting Tables Obviously this should be approached with caution. You can use the ‘names’ query parameter in a delete request to delete existing tables. An additional option for delete would be to post the same data format as the other operations. If the DB vendor does not automatically create the identifying fields (primary key), it must be included in the POST request. The applicable identifying fields are always returned for successfully created records on a create request. Retrieving Records There are many ways in which an app can retrieve data through our API. Depending on your app you may want to use one or all of these. Note that the first three also make use of the optional query parameter ‘id_field’ which allows the client to state which field is used as the identifying field for the records in that table. Here is a quick look at the retrieval options. By a single record identifier – In this case, the identifying field (think primary key) value is passed as part of the URL after the table name. This will return a single record or a 404 – Not Found error. By a list of record identifiers – This case uses the ‘ids’ query parameter sent as a comma-delimited string of id values, or ‘ids’ field sent as comma-delimited string or an array of id values in posted data. If a large number or ids, or the id values are long or have special characters in them, it would be better to pass them as posted data. By filter – This is the most powerful option for data retrieval. 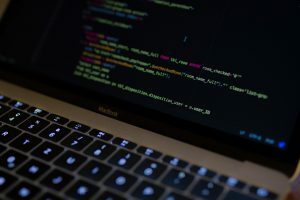 The NoSQL service allows the client to use a simple SQL-like filter string passed as a query parameter (url-encoded), or in some vendor cases, native filters in various formats (like MongoDB’s json format, more on this in later vendor-specific blogs). For our simple SQL-like filter string, comparison operators supported for every vendor are =, !=, >, >=, <, <=. ; Or given as their SQL short form ‘ eq ‘, ‘ ne ‘ (or ‘ <> ‘), ‘ gt ‘, ‘ ge ‘, ‘ lt ‘, ‘ le ‘. Depending on the db vendor, others such as contains, like, and begins-with may also be supported. Spaces surrounding the operator is required. String values on the right side of the comparison must be within single or double quotes. Depending on the db vendor, logical comparisons (AND, OR, NOT) are also supported in order to build out more complicated queries. Other ‘filter helper’ query parameters are also available. limit – Defaults to return all, accepts an integer greater than 0 to limit the number of returned records. order – Accepts a field name followed by space and then ASC or DESC to order the returned records. 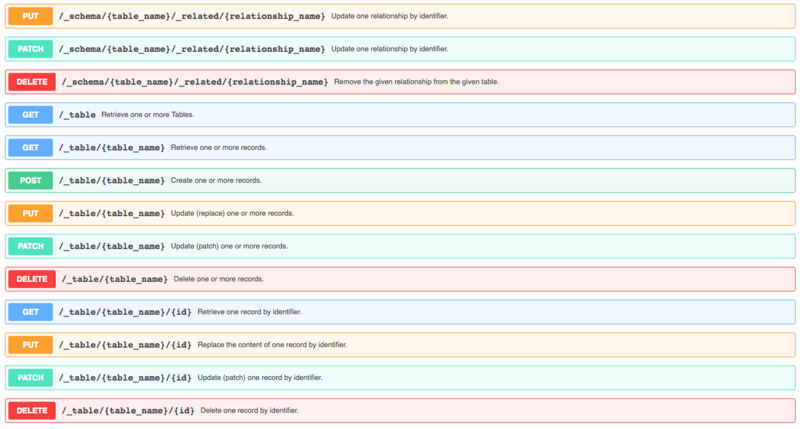 offset – Accepts an integer greater than 0 to skip that many records in the response. This is useful for setting up paging through records, but may not be supported by all vendors. For example, if we want to find the first 3 records in the zipcodes table information that have a population of over 20,000 people, returning only the city and state. If you are familiar with SQL, this would look like “SELECT _id,city,state from zipcodes WHERE pop > 20000;”. Here is what it looks like in cURL. If you only want to update or merge data for one record, and it can be identified by a single key field, then you could also add the id to the end of the URL, and pass only the fields that require change. Two other methods of merging data are by id list or filter (using “ids” or “filter” url parameters mentioned above for retrieving records). In these cases, if not natively supported, the server will query the table for the filtering results, merge in the record changes and push the changes back in an update request. This is an easy way of updating multiple records with the same field-value changes. Deleting Records Deleting supports the same options as updating. The only difference is, when using the id, ids or filter options, no posted data is required. Obvious, right? Using the ‘fields’ query parameter, the client can request the full or partial records before they are deleted from the system. What Next? Stay tuned for more specifics on each NoSQL vendor, next up more on MongoDB.